Get Into The New You State Of Mind! Lisa Clare – Divorce Recovery Coach...Formerly an attorney with 15 years Family Law experience, Lisa is a Motivational Coach and Reinvention Expert who specializes in transition of all kinds, including divorce and other. Multimedia ebook from author Carolyn Ellis; a quick-start guide on how to be a great parent after your divorce. A power-packed one-of-a-kind teleconference from a panel of amazing women who have broken free from limiting beliefs and self-doubts to fulfill their life's purpose through their business. This video features 5 divorce experts who share their knowledge and advice about everything from the legal procedures to family coping strategies. Be prepared for what's to come. Everything you need to take charge of your divorce and get what you deserve. Find happiness and victory after divorce. Journey from deep despair to forgiveness and recovery. Learn to let go and create a better you and a better future! 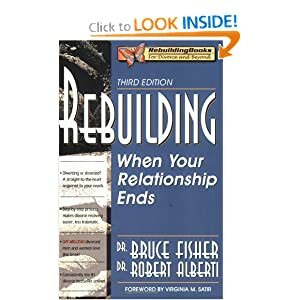 A practical, step-by-step guide to transform your Break UP into a Break THROUGH. If you want to heal your broken heart and take control of your life, you need to read this book.